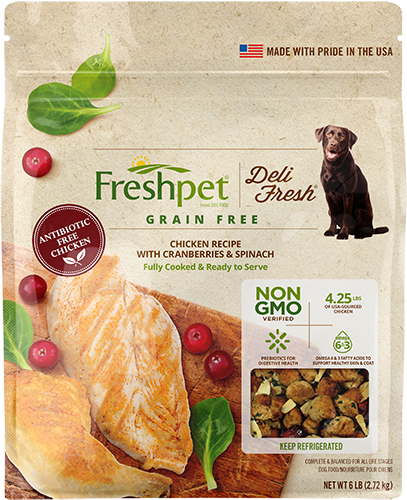 My picky puppy adores this food! 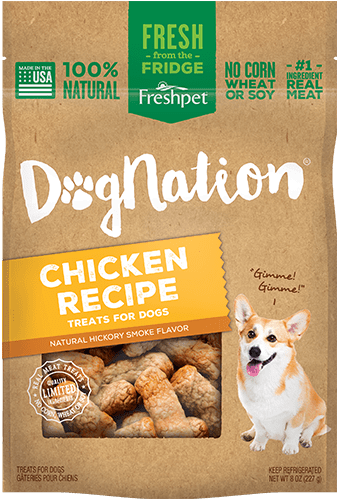 I was determined to find a natural, healthy food for my puppy without grains or meal listed as the main ingredients. There are several options out there and we tried them all. Unfortunately, my pup didn’t take to any of them. She’d leave her bowl relatively untouched and was falling underweight. 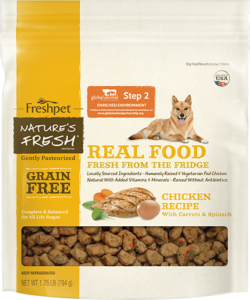 I found this food in the Whole Foods refrigerated pet section and decided, despite the steep price tag, to try it. Just upon opening the bag you can see and smell the difference – real chunks of meat and visible bits of veggies. It actually smells good. My pup now eagerly devours every meal. She’s a healthy weight, has a beautiful coat and I attribute much of that to this fantastic product.